Admit it: you enjoy the cookie dough even more than the fresh-from-the-oven cookies. To the joy of every sweet tooth out there, there is a new product on the market that is a safer alternative to eating raw cookie dough but just as delicious. Edoughble uses the best ingredients and mix-ins to create the same sugary taste and texture of raw cookie dough, but doesn’t not include raw eggs, so it is safe to eat fresh from the fridge. There are a few ways to enjoy Edoughble. Though they aren’t intended for to be baked in cookie form, they can be put in brownie or cake mix for a extra kick of sweetness. It can be blended into a milkshake or dessert dip or scooped into a bowl like ice cream. Slather a spoonful between two cookies for a truly decadent treat. Or, you can simply stick a spoon it in and enjoy as is. 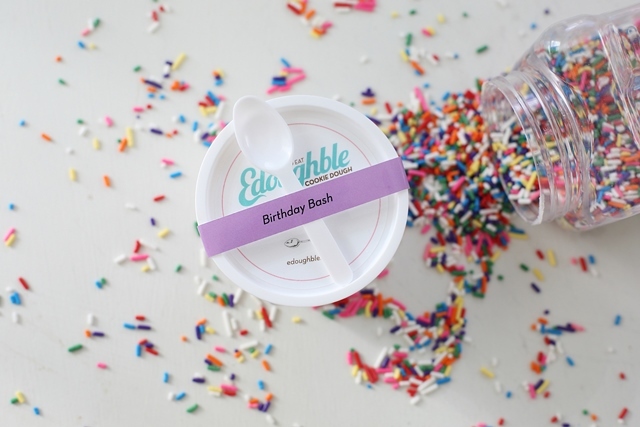 And thanks to its adorable packaging (which is a small white container, sealed with a colorful label and paired with a little wooden spoon), Edoughble would make adorable party favors or addition to your dessert display. 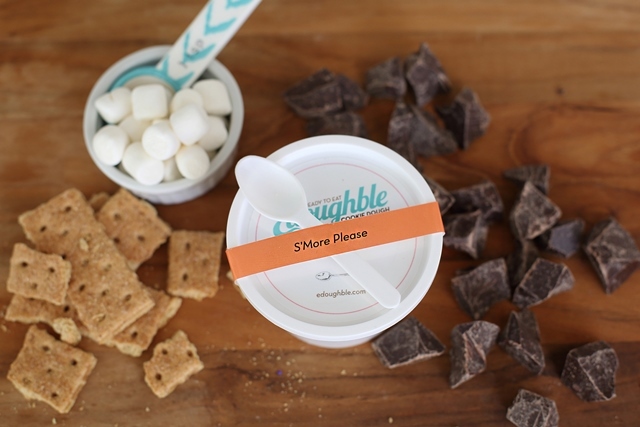 Bonus: Edoughble is donating five percent of proceeds to Food Recovery Network at the end of 2015. Prices start at $8 for eight ounces; cookie-dough-of-the-month clubs are available.